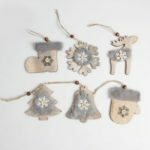 A string decor for Christmas features length of 2m. 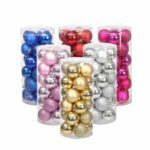 It includes suspended Christmas balls, bells and stars, which can perfectly decorates your house and bring you cozy festival atmosphere. 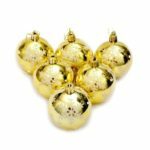 Includes 6pcs Christmas balls in 8cm diameter, 12pcs Christmas balls in 6cm diameter, 12pcs bells and 11/12pcs stars. 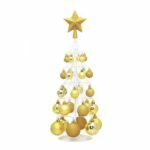 Great to decorate your house and Christmas tree. 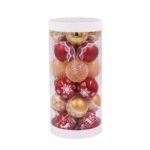 An ideal choice for Christmas decoration.